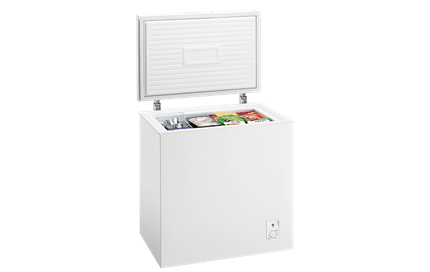 140L chest freezer is rated 4.7 out of 5 by 97. 760W x 560D x 825H(mm) ? Rated 5 out of 5 by Steveo1 from Perfect! I recently bought this freezer and reckon it will save me a fortune. I bought this freezer so I wouldn't find I needed to rush down the road and be ripped off at the local IGA to get something for dinner. It's the only supermarket close to most people around here, and the IGA knows it! I bought the freezer and went for a big food shop straight after. It was so great being able to put frozen food items in the freezer, only to discover I had plenty of room to put even more in it. There's only my son and I, and this freezer is a great size for us. I did have problems with a stuck lid like has been mentioned in other reviews, but that was only twice and it's perfect now. It's very quiet too! 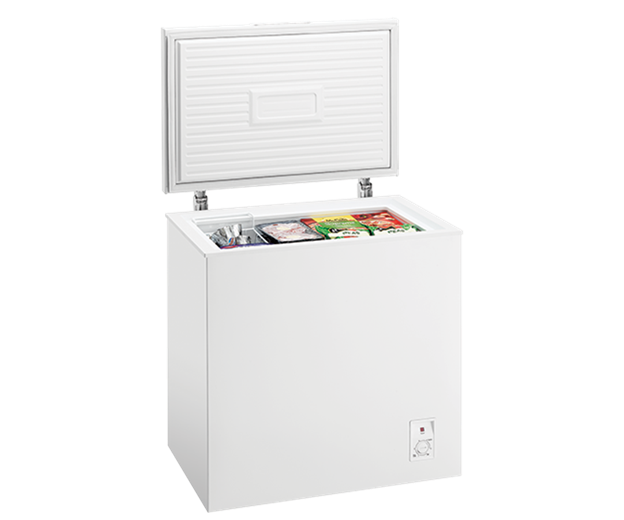 Rated 5 out of 5 by Petero from Great Freezer, good size I bought this freezer about two weeks ago and I'm so happy I did, it's made such a difference in how much time I have of a night, I cook meals about once a week then freeze them. Also allowed me to buy in bulk and save. Best investment and it's really economical to operate. Rated 5 out of 5 by pamella from Chest freezer It's been my little life saver! Should have bought one sooner.. Rated 5 out of 5 by Ms my from Now, it is good. At moment, this product is good. I hope it will forever. Rated 4 out of 5 by Andyl73 from Great Value for Money This new model replaces my 15 year old Westinghouse chest freezer The new rectangular shape (not as deep to reach the bottom )and the included basket make it much more user friendly and organised. The only feature I miss is the divider that the older model had in the bottom section where the step for the refrigeration unit is. Lid seal is excellent, very quiet running and thick insulted panels. Just bring back the divider and I'd give it 5 stars !